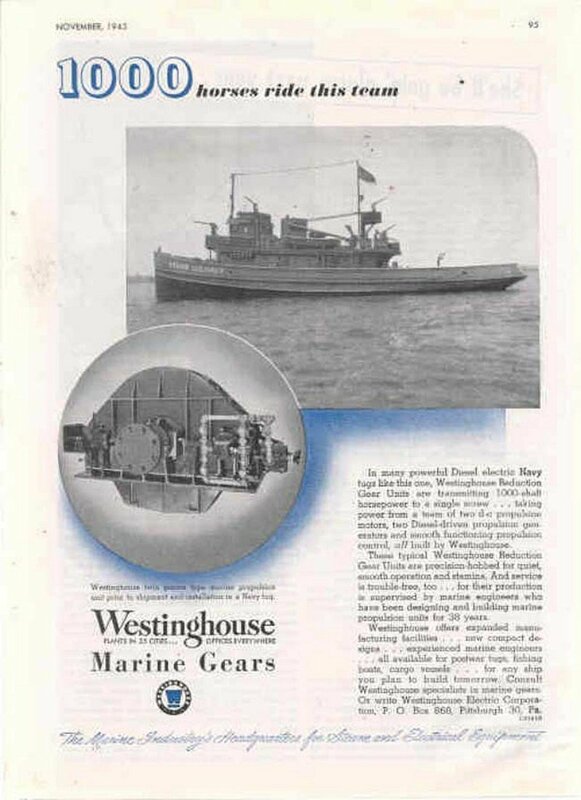 Laid down as the wooden-hulled harbor tug YT-219, date unknown, at Greenpoint Basin & Construction Co., Long Island, N.Y.
125k Westinghouse Marine Gears advertisement featuring Hatak (YTB-219). 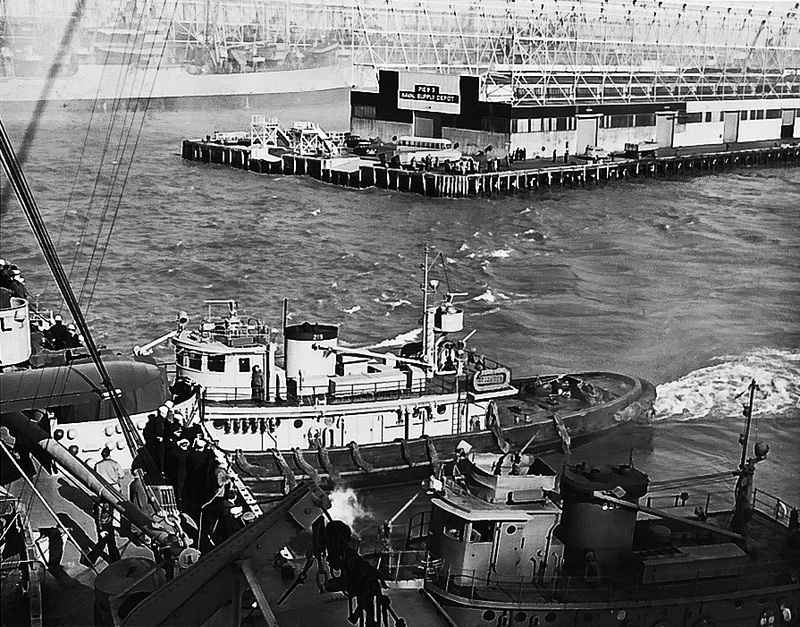 386k Hatak (YTB-219) and Ganadoga (YTB-390) work together in guiding an unidentified ship preparing to depart from the Naval Supply Center Norfolk, VA. Pier 3 for the Antarctic for the 1946 Operation Highjump. 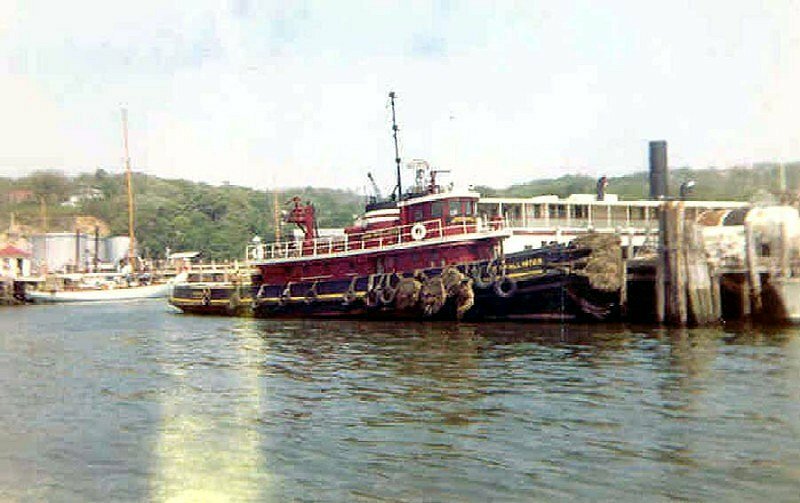 81k Ex-Hatak (YTB-219) as the McAllister Towing and Transportation of New York, tug Jane McAllister, at Port Jefferson, Long Island, N.Y., circa June 1961. 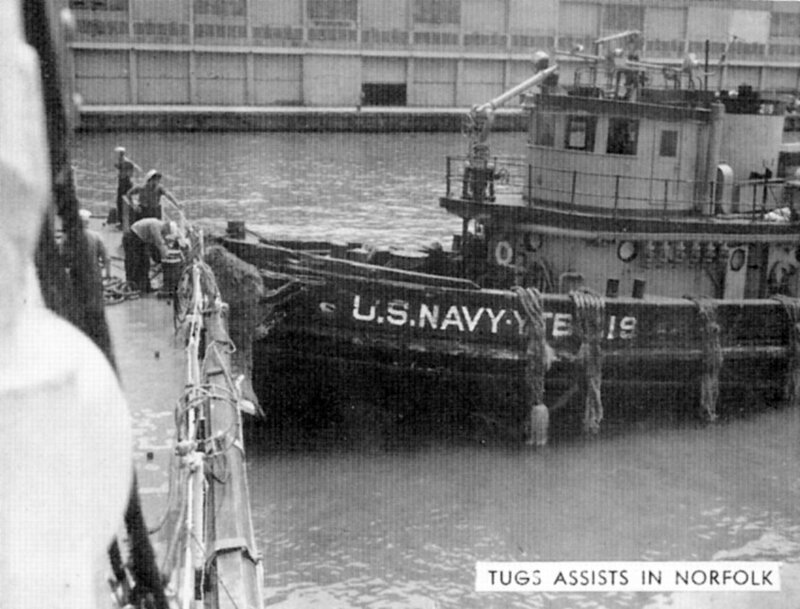 Tugboat Information.com - YT-219 - "Hatak"